Music has long been known to have a therapeutic effect on the mind, body and soul. However, most people aren't familiar with the specific benefits that playing the piano offers and not even the hordes of piano enthusiasts over at Piano Forum seems to be aware of the many positive side effects of playing and practicing on a regular basis. But experts agree that playing the piano has measurable physical and mental benefits for those who play, regardless of age. Playing the piano has a distinct benefit over playing other instruments when it comes to the physical body. Taking piano lessons and practicing regularly as children offers unparalleled fine motor skill development. No other activity offers such a focus on fine motor skills development. 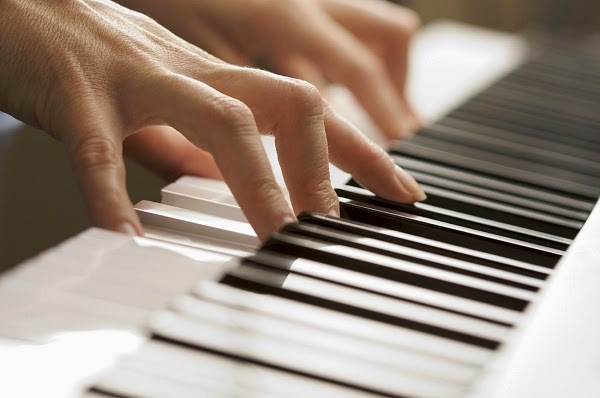 In addition, playing the piano has a physiological effect on the body in that it helps those who play lower their blood pressure, heart rate and respiratory rates, which puts regular piano players in a lower risk category when it comes to cardiovascular problems such as heart attack, stroke and more. What's more is that playing the piano has been linked to an increase in the production of hCG, or human growth hormone, which has been linked to slowing the natural aging process. Having more hCG means slowing the progression of age related conditions such as osteoporosis, while boosting energy levels, sexual performance and increasing muscle mass. In addition to providing a slew of physical benefits, playing the piano has also been shown to boost brain power. Experts have shown through research that playing the piano can boost cognitive and intellectual abilities, making you smarter. Musical training has the ability to tap into the same areas that are tapped when the brain is being used to solve math problems or in spatial intelligence. These studies have gone on to suggest that children who play piano regularly throughout their lives often score as much as 100 points better on standardized tests such as the SAT and those who attend college in search of a music degree have shown to have a higher acceptance rate into medical school. Last but not least, researchers have been able to find a definitive link between playing the piano and emotional benefits. Anxiety, loneliness and depression are common emotional disturbances that have been shown to be positively affected by playing the piano. With continued research, some medical professionals believe that many people suffering from a myriad of emotional conditions may benefit more from recreational music making more than with standard pharmaceutical therapies that are in use today. Imagine being able to treat anxiety and depression with a piano rather than drugs. And this list is far from exhaustive. Scientists also believe that playing the piano fosters an increase in work ethic, creativity, independence and even perseverance. With all of the physical, mental and emotional benefits that playing the piano offers, it seems as though more people will be rushing to the closest piano retailer and putting one in their homes today. If you are in need of a quick pick me up or a de-stressor at the end of a long day, maybe it's time to step away from the coffeemaker and junk food and spend some time tickling the ivories instead! Piano Forum is a leading online resource for everything having to do with pianos. Whether you are interested in getting started playing the piano or are looking to find others who share your passion, visit http://pianostreet.com.